Are all cable trays the same? In this article we summarize the features and benefits of the Cable-MGR line of products. Cable-MGR, the “Easy-to-connect, One Tool” Cable Tray System! We demonstrate why they are not! 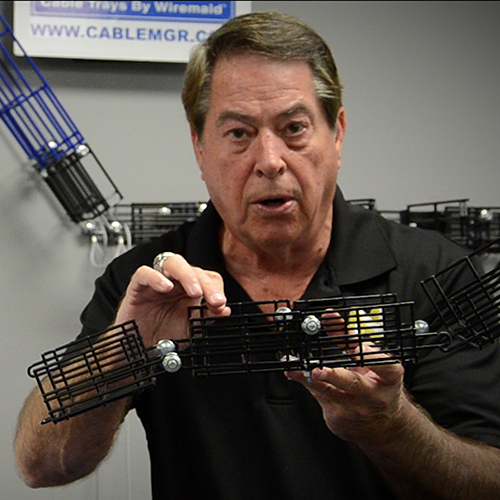 Hello everyone, this is Rick Thompson with Wiremaid's Cable-MGR cable tray. Today, I will like to show you a little difference between our product and our competitors. Our competition’s cable tray normally comes in 7 to 10ft length. 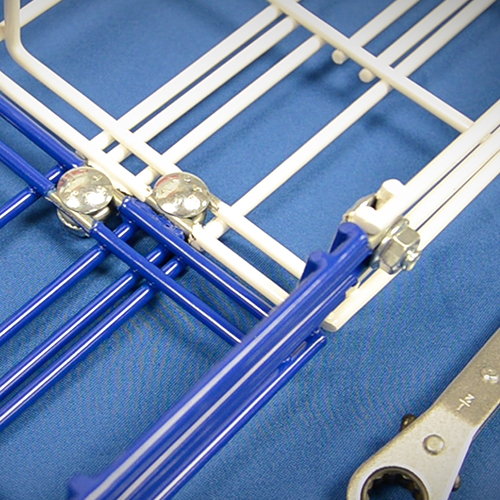 To demonstrate our competitor’s tray, here’s two small assemblies. The tray does not really connect and form a UL approved grounding. In order to join this type of tray, you have to use splice washer kits and grounding straps which comes as an additional cost. 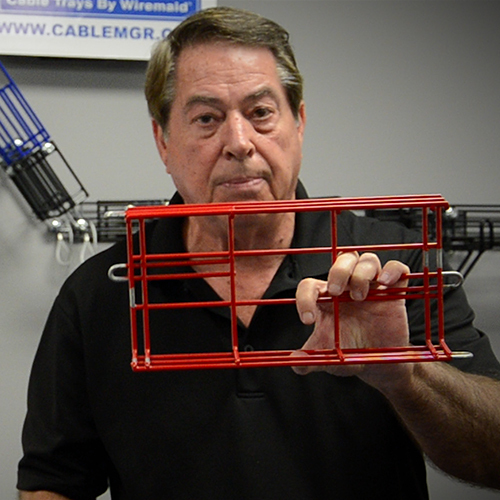 With our particular product, the Cable-MGR cable tray. We have 7 variable powder coated colors at no additional charge. What is unique about our tray is we have a galvanized loop welded on the bottom of the tray, which is not powder coated when it joins with another tray, it forms UL approved grounding. We then join the two trays together and they connect like this. Next we insert the four bolts, included in your tray order (no additional charge). 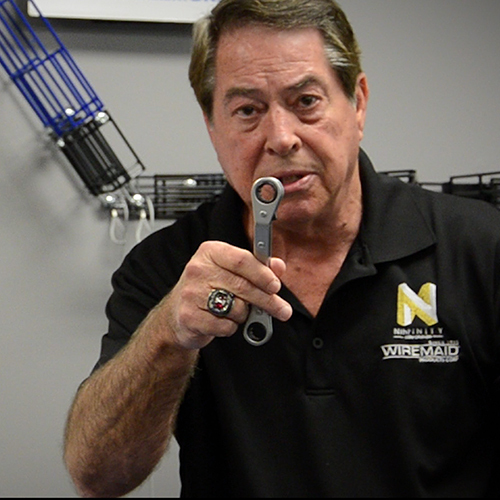 The bolts are easy to install with one tool. This quick installation of the product, saves you around 50% to 80% in installation time. Each section of our tray connects like this and soon you have finalized the whole installation. Between product and installation time you can save around 400% on other regular cable tray installations. The CM10 is in a 0.120 steel diameter, which is perfect for a lighter capacity cable and ideal for fiber optics or low voltage cables. "Easy-to-connect, one-tool cable tray system"
Included in the order is a hand tool which is a ratchet, we call the “one tool” and it tightens the bolts to the tray, it is a very quick assembly. This is the only tool you need to install our cable tray system. Grounding straps are not required. In a later video and article, I will discuss more about our junctions and how they’re prefabricated in comparison to our competition, which requires cutting and bending. 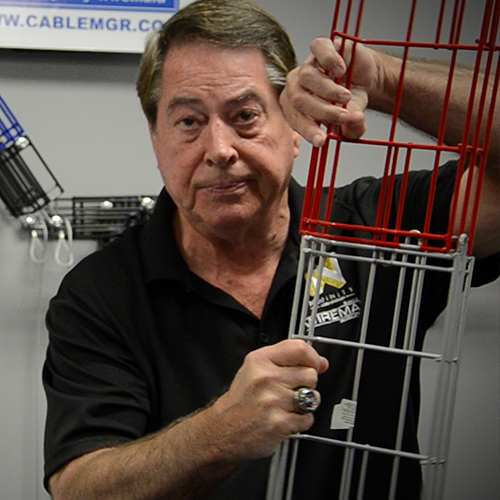 With our cable tray you never have to cut and bend. You’re will save installation time, which equates to a minimum of 50%-80% savings. When you purchase Cable-MGR, it’s probably going to save around 25% right off the top because after the installation, you will not have any scrap metal left over. 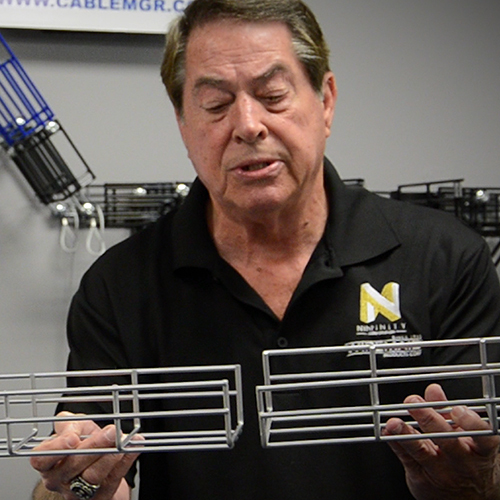 You don’t need much product, there’s additional saving for you, as we lay out your cable tray requirements prior to you ordering, that way you know exactly how much product you need and what part will be installed where. 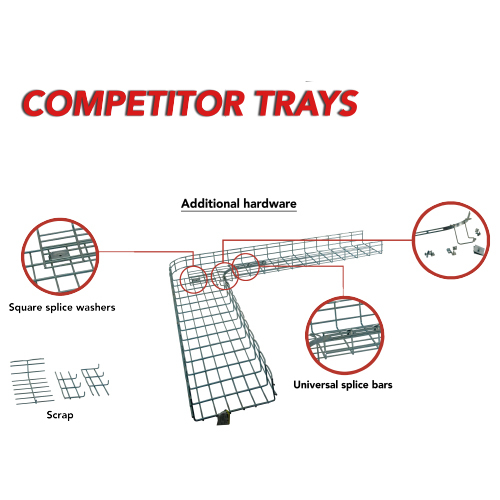 You only pay for the product and no more, unlike our competitors’ product, where you will need to order more tray sections and have a lot of left over cut waste. Cable-MGR is shipped in a crate so you don’t have to worry about any damage from the shipping application. 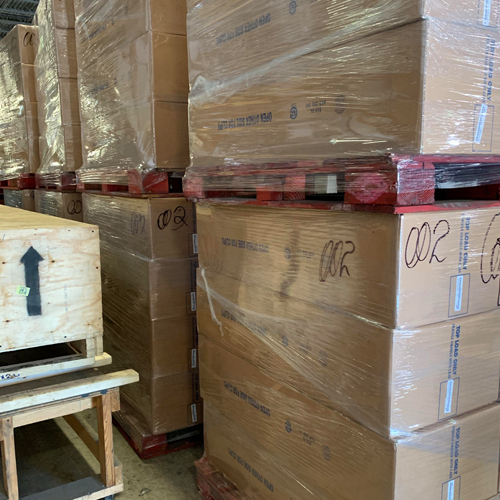 We have less than 1% shipment damage because of our custom made shipping crates. In total there are about 20 benefits of our Cable-Mgr cable tray product. Above all, the main benefit is the reduction in your initial investment and installation time which can save you up to 400% of the total cable tray cost. 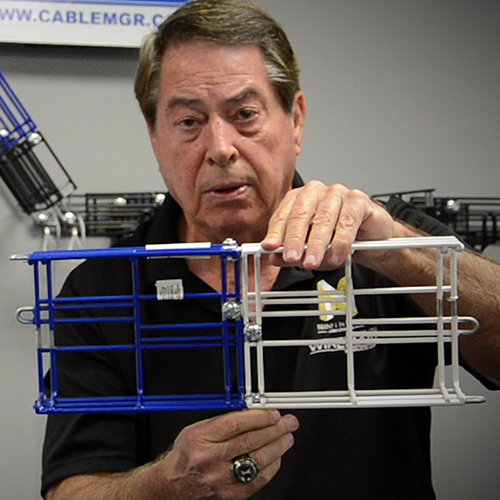 We would love for you to contact us, let us show you the product itself and would be glad to send you a free sample so you can see the quality of the product itself, how easily it connects and see how our Cable-Mgr cable tray will save you time and money in the field.